For the past several years, AEP Ohio has been thoughtfully implementing grid modernization, and the Public Utilities Commission of Ohio (PUCO) today approved a settlement in the utility’s program. In a win-win for the environment and customers, AEP Ohio’s grid modernization plan will result in less energy waste, as well as significant customer benefits that greatly exceed the program costs: Every dollar spent will produce nearly three times as much in savings. In the new settlement, Environmental Defense Fund helped obtain commitments for several environmental benefits, including significant voltage optimization improvements. Previously, since AEP Ohio couldn’t determine the voltage of electricity at various points along the grid, it was overpowering homes and businesses with more voltage than was needed, resulting in higher electricity bills. 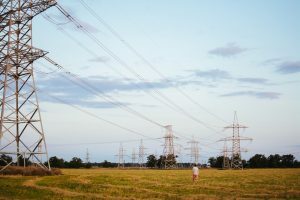 Grid modernization will allow the utility to use sensors to measure voltage and supply electricity at lower, right-sized voltage, resulting in less electricity use and lower customer bills, as well as less greenhouse gas emissions. AEP tested voltage optimization and found it results in energy savings of 3 percent system-wide, representing significant pollution reduction considering it has 1.5 million customers in the Buckeye State. AEP Ohio will now install voltage optimization on 160 power lines and annually report on the energy savings, peak demand reductions, monetary savings, and greenhouse gas reductions. AEP Ohio will also study the feasibility of using voltage optimization throughout its territory, to determine how much more deployment would be cost-effective. Efficient operations: AEP Ohio will install 894,000 smart meters, enabling remote meter-reading and eliminating the need to manually read each meter every month. This will reduce the miles driven by AEP Ohio personnel by 440,380 annually, avoiding 186,556 metric tons of CO2 annually – equivalent to taking nearly 40,000 cars off the road. Real-time access to energy data allows people to track their use through cellphone apps or in-home energy monitors. Data access: AEP Ohio will work with regulators and stakeholders to provide timely access to energy-use data for customers, energy suppliers, and third parties. Real-time access to energy data allows people to track their use through cellphone apps or in-home energy monitors, empowering customers to make smart choices that lower their bills. That’s because data opens the door for customers to take full advantage of new, time-based rate plans, where the cost of electricity is higher during peak-use periods (when demand is highest) and lower during off-peak periods. AEP’s real-time data will also enable other energy suppliers to access that information, with permission, and offer time-variant pricing (lower prices when more electricity is available) to their customers. Studies show that granting people access to their data, combined with time-variant pricing and data-enabled third-party programs, can save up to 18 percent on electricity bills, without negatively affecting convenience or comfort. Finally, AEP Ohio will develop a collaborative process with stakeholders to discuss data access issues, including implementation of Green Button Connect, an emerging national standard to provide customers with better access to data. Environmental metrics: AEP Ohio will hire a third party to quantify the greenhouse gas emission reductions achieved through grid modernization. Defining and measuring performance is key to creating a new system that rewards utilities for delivering clean energy services, such as on-site renewable energy and home energy management. As more utilities modernize their grids, customers can benefit from lower energy bills and cleaner energy. In this case, with savings vastly eclipsing the up-front costs, AEP Ohio has put forth a forward-looking, cost-effective plan. Hats off to the utility and the PUCO for helping Ohio build a smarter, more efficient energy future.